If there is some kind of Guinness world record for the number of books authored in a lifetime, Francisco Candido “Chico” Xavier must certainly hold the record. A Brazilian who transitioned to the spirit world on June 30, 2002, Xavier produced 458 books with sales in excess of 50 million copies. Xavier, who dropped out of school at age 13, gave credit for the words in his books to various spirit entities. His books, which included literature, history, science, and Spiritist doctrine, were published with the phrase “dictated by the spirit of…” on the title page. Moreover, Xavier donated the royalties to charity, living his entire life on a very modest government income and pension. Most people familiar with mediumship would call it “automatic writing,” but Brazilian Spiritists call it “psychography.” As Playfair points out, Spiritists make a distinction between the two, holding that automatic writing comes from the subconscious and psychography from a separate entity. So famous was Xavier in Brazil and the Portuguese-speaking world that he was honored with a stamp on April 2 of this year, the 100th anniversary of his birthday. In his home state of Minas Gerias, he was voted “person of the century” in 2000 by readers of a major newspaper there, beating out an aviation pioneer, a former president of the country, and the legendary soccer player, Pelé. More than 120,000 people lined up in a queue over two miles long to file past Xavier’s coffin and 30,000 joined in the funeral procession. In 1932, when he was just 22, Xavier produced a 421-page book with 259 poems, signed by 56 poets, many of them famous when alive in the flesh. It became a best-seller and convinced many Brazilians that consciousness survives physical death. Playfair mentions that the poems were clearly in the individual styles of the deceased poets. “Moreover,” Playfair offers, “if you are thinking of faking a Shakespeare sonnet, you must do more than imitate the poet’s style. You must get across an idea, an image, that elusive ingredient that makes a poem something more than the sum of its words.” This was clearly the case with the Xavier-produced poems. Xavier explained that he always felt an electrical sensation in his arm when he was taking dictation and that he felt his brain had been invaded by some indefinable vibrations. Interestingly, D.D. Home, the famous 19th century medium known for his levitations, wrote that he experienced an “electrical fullness” about his feet when the spirits were raising him from the ground. “To produce automatic writing, the spirit simply makes contact with the medium’s frontal lobes and right hand, leaving the rest of the brain and body free,” Playfair sets forth his understanding of the phenomenon. In addition to the books, Xavier also received many evidential messages. One of them was even accepted in a court of law and a couple of others influenced court decisions. A somewhat similar case of automatic writing began in the United States when Chico Xavier was only three years old. It involved a St. Louis, Missouri housewife, Pearl Curran. First from a friend’s Ouija board, then a pencil, then a typewriter, flowed the writings of a person identifying herself as Patience Worth, a 17th Century English woman. Over a period of 24 years, Patience Worth dictated approximately four million words, including seven books, some short stories, several plays, thousands of poems, and countless epigrams and aphorisms. Like Chico Xavier, Pearl Curran had only an elementary school education. In some of her scripts, she used Anglo-Saxon words that are no longer part of the English vocabulary; yet, researchers were able to confirm that these words did exist at one time, although it would have been virtually impossible for Curran to have come upon them. Critics compared her works to those of Shakespeare, Chaucer, and Spencer. According to Dr. Walter Franklin Prince, one of the scientists who studied the phenomena, Patience Worth’s writing “displayed original genius, enormous erudition, familiarity with literature and history of many ages, versatility of experience, philosophical depth, piercing wit, moral spirituality, swiftness of thought, and penetrating wisdom,” qualities and characteristics which were totally foreign to Pearl Curran. Moreover, Curran was witnessed talking to people as she took dictation from Patience. Many psychologists and parapsychologists are grounded in materialism and unable to consider a spiritual explanation for automatic writing. Thus, they contend that the automatic writing is coming from the medium’s subconscious mind. However, they don’t really address how the information got into the subconscious in the first place. 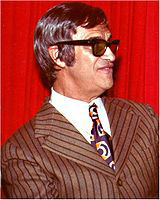 Television was not yet a reality when Pear Curran lived nor for the first half of Chico Xavier’s life, so it is unlikely that the subconscious absorbed it from television programs. Radio was in its infancy when Pearl Curran lived and it is highly unlikely she listened to many radio programs or read many books with 17th Century English. Those who believe in reincarnation might explain Patience Worth as memories from a past life existing in Pearl Curran’s subconscious, but past lives would not explain most of the material produced by Chico Xavier as many of the spirits communicating through Xavier were “living” when he was born. No doubt the subconscious mind does produce things we are not consciously aware of or thinking about, but to write it all off as coming from the subconscious seems like a real stretch. 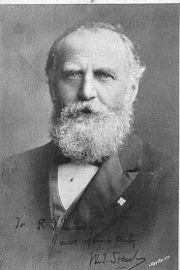 William T. Stead, a famous British journalist who was a victim of the Titanic disaster in 1912, developed the ability to do automatic writing. In one of his books, Letters from Julia, he wrote that he could not believe that any part of his unconscious self would deliberately practice a hoax upon his conscious self about the most serious of all subjects, and keep it up year after year with the most sincerity and consistency. “The simple explanation that my friend who has passed over can use my hand as her own seems much more natural and probable,” concluded Stead, who was observed by Titanic survivors serenely sitting in the smoking room and reading his Bible as pandemonium took place all around him. It is doubtful that there will be a sequel to the new Clint Eastwood directed movie, Hereafter, but just in case there is I would recommend more depth by having some scenes and dialogue to enlighten the viewer as to what mediumship is all about. The current movie doesn’t discuss this at all. Here are some suggestions for the sequel. George: (shaking his head in frustration) Mrs. Leonard, I don’t understand what’s going on. Are these spirits I’m receiving messages from in heaven or hell? Are they good or bad? Some of my friends tell me that it is all the work of Satan. My doctor says I’m delusional. George: I didn’t know that. How many planes or abodes are there? LL: Many spirits have said that there are seven with the seventh one being true heaven. It sort of gives meaning to seventh heaven mythology, doesn’t it? But I don’t think they are really numbered. I believe the spirits just give them numbers to simplify things for us. It’s like people being classified as lower, middle, or upper class here on earth. There is no fine dividing line between the classes and it is not always clear when a person moves from one class to the other. George: That makes sense, Mrs. Leonard. So, if we do number them, is the first one what religion calls hell? LL: That is my understanding, George. They refer to those spirits on the first level as “earthbound” and tell us that often they don’t even know they have passed from the material world. It’s like they are having a bad dream or nightmare. It is a fire of the mind, so to speak. I think that is where we get the fire and brimstone associated with the hell of religions. George: But how can a person not know that he is dead? LL: My dear boy, do you know that you are alive when you dream as you sleep? George: Hmm. Never thought about it that way. So what spirits do we find on the first plane? LL: Well, I guess religions would call them the wicked, but the spirits usually refer to them as the depraved. They developed no spiritual consciousness at all while in the flesh, but it is important to understand that they are not there for eternity as religions would have you believe. They can be educated and enlightened and eventually work their way up into higher and higher realms. George: Are they judged by God and sentenced to the first plane? LL: Gracious, no, lad. The spirits tell us that everything we do out of love or lack of love generates an electrical impulse that is impressed on our energy field, what we commonly call the aura. The combined vibrations over a person’s lifetime determine his or her initial level in the afterlife. We just automatically gravitate to the level corresponding to the acts and thoughts we have compiled during our lives and we enter the spiritual world with precisely the same character, enlightenment and disposition as that with which we have left the material world. George: [Smiling] Sounds like we have computer chips installed in our energy fields. LL: [Laughing] I don’t know about those things, but maybe so. George: What class of spirits end up on the second plane? LL: I think we find there the very materialistic person who is not necessarily depraved. They have developed a little spiritual consciousness, but not enough to fully awaken in the spirit world. They are in something of a half-conscious stupor, I would say. They tell us that these days there are far more spirits on the first two planes than on the five planes above them. George: And the third plane? LL: It is my understanding that most decent people start from the third plane, which the Spiritualists call Summerland. They lived reasonably good lives, but were still materialistic and didn’t develop much of a spiritual consciousness. They say it is fairly pleasant and comfortable there and not too unlike those here on the earth plane. George: And above the third plane? LL: Again, George, it is a matter of consciousness developed during the earth life. Keep in mind that all consciousness at that point is only spiritual consciousness. All materialistic consciousness is a drag on the wheel of progress on that side. On the fourth plane, I believe we find spirits more spiritually developed than those on the third plane and less spiritually developed than those on the fifth plane. After all, we are not all either wicked or righteous as many religions suggest. There are many degrees of good and evil between the extremes. George: The spirits I’m hearing from – are they on any particular plane? LL: I suspect most of them are on the third plane. The spirits tell us that the lower the vibration the easier it is to communicate with those of us still fettered in the flesh. George: In that case, it should be easier for spirits on the first and second planes to communicate with us than those on the third. LL: [nodding] Quite true, my boy. That is why the Bible tells us to “test the spirits whether they are of God” and to “discern” the messages. The good spirits tell us that many low level spirits try to interfere in the communication and even take on the identity of those we are trying to communicate with. We call them impostor spirits. George: So how can we know if the message is not from an impostor? LL: Generally, you can tell by the nature of the message. The messages from the impostors are usually misleading, devious, or mean-spirited. Again, you must test and discern and examine the overall purity of the message. George: Can spirits from the fourth plane and up communicate with us? LL: I understand they can, but they must often relay the message though a spirit at a lower vibration – a well-meaning spirit of course, probably one on the third plane. George: It sounds so complicated and difficult. LL: It most certainly is. What you have to understand, young man, is that celestial matters don’t easily lend themselves to terrestrial methods or words. So much of this is beyond our understanding and that is why mainstream scientists scoff at it all. They think, in all their arrogance, that we should be able to understand everything. In a later scene, George, now more enlightened, is visited by a man named Justin, who wants a reading. Justin: I have to warn you. I am very skeptical when it comes to this stuff, but I thought I would give it a try. George: That’s fine, Justin. It’s good to be skeptical. But let me tell you from the outset that if your skepticism turns to negativity, I probably won’t get anything. There has to be a certain harmony existing among all of us in order for me to get something. That is why the debunkers rarely get anything. Their negativity defeats the whole process. Of course, in their ignorance, they jump to the conclusion that the medium is a fraud and see it as a victory for themselves. Justin: I’m not sure I understand all that. George: Let me put it this way. Let’s say you are making love to your wife. There is a certain harmony there and things just spontaneously happen as you expect them to. But let’s now put you on a stage in front of a bunch of observers who tell you that you must prove to them that you are able to make love to your wife. There is a good chance you might not be able to respond. The harder you try, the more difficult it becomes. It’s like that in mediumship. When we start trying, it often doesn’t happen. Justin: I think I understand. George: Good, Let me further explain how all of this works. It is not like I am on a telephone talking to someone. Because I am clairaudient, I do hear words now and then, but I am primarily clairvoyant and the messages come mostly by the pictographic method. The communicating spirit will project a thought to me and I’ll receive it as a picture. I’ve then got to interpret that picture and figure out what he or she is trying to tell me. I might not interpret the image correctly and give you something that doesn’t make sense to you. I’ll then try to reinterpret it. I might ask for your help in figuring out what it is I am seeing. The debunker would say I’m “fishing” for information, which is partially true. I’m fishing for the correct interpretation of the thought-image I’m seeing. Justin: Wow! I didn’t realize it was that complicated. George: It clearly is. Frequently, I can’t get the person’s name, and people wonder how I can get other information and not a simple name. Well, the problem is that most names don’t have a pictograph symbol for them. There are times when I’ll hear a name, but it will come through very faintly. I might catch that it starts with a “J” or a “G” but I can’t hear the whole name. There again, the debunker would say I am fishing for a name, which is in a sense true. It is so much easier for me to get ideas than actual names. Justin: Do you go into a trance or anything like that? George: Not really. I try to remain in a passive state. There are many varieties of mediumship. Some are trance mediums, some semi-trance, some no trance at all. There are physical mediums and mental mediums and various types within those two broad classifications. That’s another thing that confounds the debunkers. They seem to assume that we should all operate in the same way. It just doesn’t work that way. George is speaking to a group of grieving people and quoting the words of Silver Birch, an apparently advanced spirit or soul group able to communicate through the trance mediumship of Maurice Barbanell. “No, death is a not a tragedy to those who die; it is only a tragedy to those who are left behind. To go from darkness to light is not something over which you should grieve. “If you grieve, you are in reality grieving over your loss and not for one who has in truth become enfranchised. She is better off. She will no longer suffer all the ills of the human body. She will be no longer be subjected to the ravages of wasting disease. She will unfold all the gifts with which she has been endowed, and will express them free from any thwartings, and will be able to give a larger service to those who require it. “Death cannot part you from the one you love, for love always claims its own. Your sorrow is based on ignorance. With knowledge you could be sure that the one you love is closer than ever he or she has been before. You could taste some of the joy that comes with the appreciation of an understanding of spiritual reality.